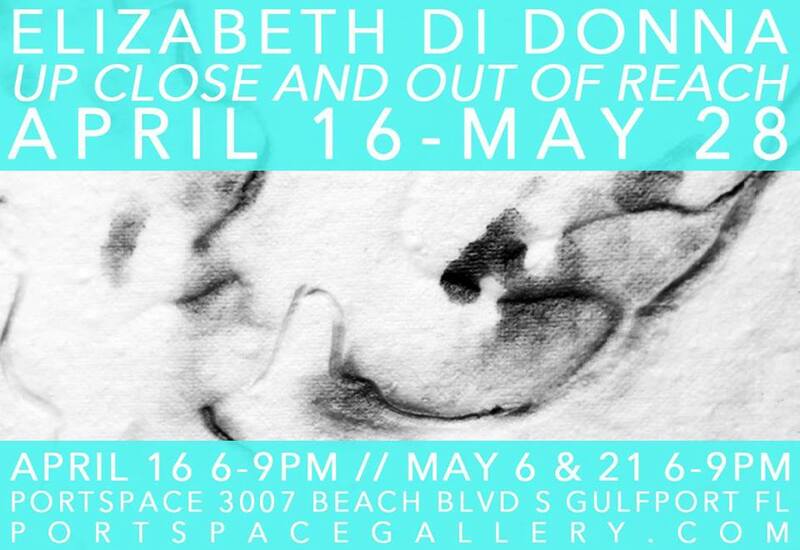 Saturday April 16th 6-9PM PORTSPACE introduces its newest show: Up Close and out of Reach by artist and Department of Art Advisor Elizabeth Di Donna. While researching historical and current satellite map imagery, Di Donna was taken with the dramatic physical changes that have occurred to the Gulfport’s coastline due to land development. The resulting works are a response to this change. Materials that range from porcelain, paper, and video installation, Di Donna creates a space that becomes a poetic and abstract conversation between the natural and man made. Elizabeth Di Donna is an artist, instructor, and advisor at Florida State University. Her major concentrations are ceramics, video, and installation.